Unresolved inflammation is harmful to any tissues in the organism. Bone in particular is vulnerable to inflammatory assaults because its integrity depends on the activity of osteoclasts, which arise from myeloid precursors. Osteoclasts are responsible for bone resorption in normal and disease conditions. Increased osteolysis is a common feature of inflammatory disorders and a risk factor for bone fractures. Thus, bone is impacted negatively not only by local and systemic inflammatory mediators, but also directly, by alterations affecting myelopoiesis and lineage allocations. Such perturbations are characteristics of dysregulated inflammasomes, which are key regulators of innate immunity. 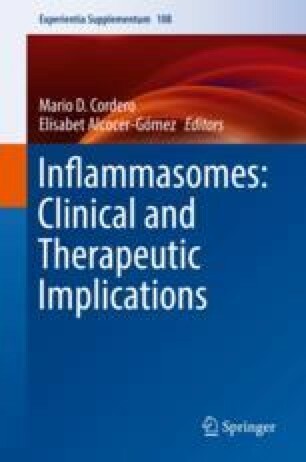 In this review, we discuss the role of inflammasomes in bone diseases caused by sterile or non-sterile inflammation. G.M. is supported by NIH/NIAMS AR064755 and AR068972 grants and is co-founder of Confluence Life Sciences, Inc. D.J.V is supported by NIH/NIAMS AR070030 and the Shriners Hospitals for Children.